It was a mostly cloudy morning at Sky Pond above Glacier Gorge in Rocky Mountain National Park. It did not appear that any sun or color would appear this morning with the thick cloud deck to the east of Estes Park. 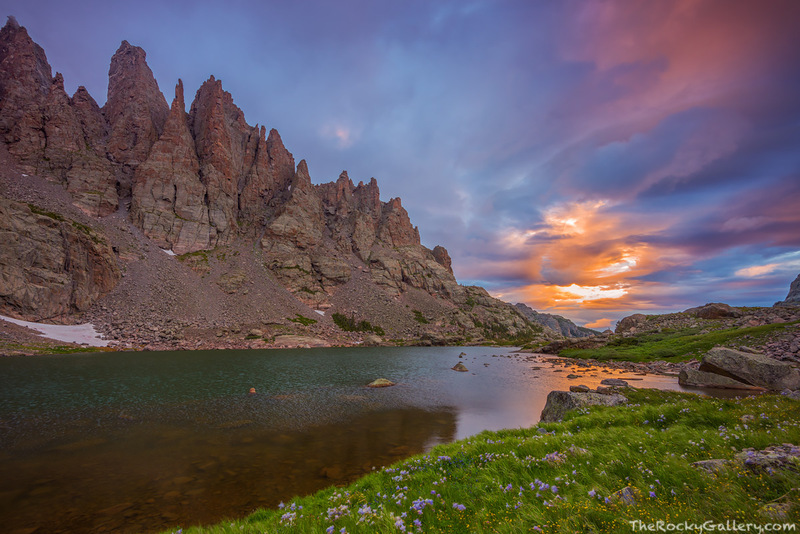 The sun did manage however to color the skies over the Sharkstooth for a short time on this summer morning in July. Photo © copyright by Thomas Mangan.